Classes canceled in North Brunswick on Jan 20th due to weather condition.. Stay safe! Virtual classes this summer. The final full schedule. First meeting of SchoolPlus Alumni! On June 10th at 12:00 noon we invite each and every alumni to come to meet former classmates! It should be very exciting! Latin indeed? Nonne vere latina? Неужели латынь? I’m excited to invite you to our first session (free) - “Meet Your Teacher”! It will take place on Monday for MS and on Tuesday for HS at 7:00pm. The gates of Ancient Rome are waiting for you! Summer Camp 2018, North Brunswick. Registration is started! Start the school year with a group tenting event in Frances Slocum State park! Register for summer sleep-away adventure camp in PA. The night Saturday to Sunday on 12 March clocks will be changed on summer time. SchoolPlus is thrilled at the news MOEMS gave us about results of 2015-2016. Stevens Mathematical Olympiad on Saturday June 11, 10 a.m.
All participants will receive the certificates of participation and the winners - awards! SchoolPlus Staten Island, Brooklyn, and Queens Branches are closed from 4/22 to 4/29. Staten Island, Brooklyn, and Queens SchoolPlus Branches are closed from 4/22 to 4/29. We resume our classes on Saturday, April 30th. Kangaroo Contest in North Brunswick place and time change!!! The funeral will be held at St. Mary's Orthodox Church on 316 Cassville Rd, Jackson, NJ 08527 at 11:30 am tomorrow March 4th. Huguenot classes in the Tottenville High School are cancelled for tonight, Monday, 1/25. Due to the anticipated snow storm and hazardous road condition SchoolPlus will be closed on Sunday, January 24, 2016 at the College of Staten Island and Forest Hills, Queens. SchoolPlus Midland Beach classes are cancelled today, Thursday, 3/5. SchoolPlus Midland Beach classes are cancelled today, Thursday, 3/5, due to the inclement weather. We are very sorry we have no choice but cancel the classes tomorrow Feb 22d in North Brunswick. We just got a call from Linwood school administration that the school will be closed tomorrow. Please check new homework tomorrow. Just to remind you that Monday SHSAT practice test will be held in St. Margaret Mary Church which is located at 560 Lincoln Avenue 10306 on the ground floor. The SHSAT session runs from 6:00 to 9:20pm. If you have any questions feel free to contact me at 1-718-524-4443. Just to remind you that we are closed today, Monday, October 13. English in NB. Week One. SchoolPlus won in May 2014 Central Jersey Chess Tournament team competition! There will be a Summer Adventure Camp hosted by SchoolPlus Princeton. In view of the snow storm, Huguenot classes in the Tottenville High School are cancelled for today, Monday, February 3rd. Due to the snow storm, Midland Beach classes are cancelled for today, Thursday, January 2nd. We resume our classes on Thursday, 1/9. Due to weather condition classes cancelled for Dec 14th. Enjoy the day off and snow! WELCOME TO A RUSSIAN WINTER CARNIVAL, SATURDAY, DECEMBER 14, 2013 AT 2-4 PM ! WHERE: PRINCETON PUBLIC LIBRARY, Community Room, 1st Fl., 65 Witherspoon St. Princeton NJ 08542. WHAT: RUSSIAN SONGS, FOLK DANCE, BALLET, INTERACTIVE SKAZKA PLAY AND JUST FUN! The 2014-15 NSLI for Youth application is now available! See art works from our Marlboro branch students! See our MOEMS Math Olympiad winners! Memorial Day: No classes on Saturday, Sunday and Monday in Brooklyn and Staten Island locations. Congratulations to our Math Olympiad Kangaroo 2013 winners! All three boys shown great results in Math Olympiad Kangaroo 2013! It is a beautiful park with a fishing lake, boat rentals, an open pool, etc. Junior Orienteering Training Event this summer! 26 SchoolPlus students got SHSAT Admissions. We are pleased to announced that there is an exhibit of our art class students at the Princeton Public Library on the third floor. Gold Medalist of AMC 8 Math from Princeton! Congratulations to Arthur Migdal, a Gold Medalist of AMC 8 Math Competition this year! All-night adventure in the Liberty Science Center Museum! SchoolPlus Bensonhurst classes will resume on Tuesday, 11/13. SchoolPlus Midland Beach location relocates to P.S. 38 starting from 11/15. SchoolPlus Queens is hosting a Russian Puppet Show "Gusenok Dorofei" on September 9th at 4pm! Open House/Teacher Forum directly following the show. Marlboro - New Branch ! Wayne - New Branch ! Dear parents: great news- we are opening in Marlboro and Wayne! The new branch of SchoolPlus in Wayne, NJ is open! No classes on April 7th and 8th.Happy Holidays! We are closed for Thanksgiving Weekend. Enjoy it! Jersey City, Queens and Riverdale - THREE new branches opening Fall 2011! Click the locations above for more details about teachers, classes and directions to each branch. Now - in Queens! SchoolPlus opens in Queens, NY. SchoolPlus opens in Queens: Math, Russian, Music, Russian Chorus, Art, Chess and others. Location: Queens College. Register now, first day classes - FREE! Coming this Fall - a new location in Jersey City, NJ! Professoria: Program To-Go to the Recitals with Your Music Teacher Ms. Erika Solaris. “SchoolPlus” (Manhattan) offers Professoria program! Teaneck, NJ classes are canceled Saturday 1/08/11. ALL OTHER LOCATIONS ARE OPEN! Due to weather forecast for Saturday January 8th School Plus classes in Teaneck, NJ are canceled. Have a fun and safe weekend. ALL OTHER LOCATIONS ARE OPEN. If there are other cancellations we'll update this ad. Due to weather forecast for Saturday, Feb 06 2010 the classes at School-Plus in Teaneck location only are CANCELED. Our students won awards in American Math Competitions! The team was qualified to go to the National level of competition. Congratulations to all members of the team, to their parents and teachers! A once a year event! The Third Millennium Mathematical International Olympiad will take place on Sunday March 1st, 2009 from 4:00-7:00p.m. It is free. For grades levels from 5 to 12. Due to the severe winter weather expected, FDU's New Jersey campuses are closed Saturday, December 20, 2008. SchoolPlus cancels classes on Saturday Dec 20th. Due to severe Weather Alert we cancel classes on Saturday 6th. You are invited to the premiere of three hilarious and entertaining sketches by Andrej Usachov the popular contemporary Russian poet. Come and join us for this fun and exciting event at Manhattan School-Plus location, room 205, on June 14 at 12:30pm. Welcome to Princeton SchoolPlus ! The first tour is this Saturday, February 9th. Check the SchoolPlus MetMuseum page for important information about attendance. The Spring 08 registration is now open. The Spring 08 registration is now open for all SchoolPlus locations. You are invited to the premier performance of "The Gruffalo" by Julia Donaldson on December 15 at 12:15 (Room 205) performed with masks by the students of the SchoolPlus in Manhattan Drama Class. Please come and be our audience. Saturday, November 17th - second MetMuseum tour! The first tour is this Saturday, November 3rd. Check the SchoolPlus MetMuseum page for important information about attendance. The tentative tour dates on September 29th and October 13th are cancelled. Our first (confirmed) date is November 3rd. May 19, Saturday at 11:00 everybody is welcome to the Math Contest for Elementary and Middle Schools. Contest consists of 5 problems. Time given is 30 min. Every problem requires unconventional thinking. Key to problems given after session. Awards! On March 31st Chess Master Ilya Figler and all teachers at Manhattan location of The SchoolPlus invite you to visit his Chess class at 10:00, Room 303. We are located on Broadway & 121 St. The next tour to the Metropolitan Museum of Arts is on February 3rd. Looking forward to meeting you there! A short article in The New York Times praised the Singapore Math curriculum that has been the core of our Math program for the last nine (!) years. Article named Teaching Math, Singapore Style was printed on 09/18/06. Stay safe and enjoy the snow! The tour on February 11th will go on for as long as the Metropolitan Museum remains open! So far, we are good to go! See you there. Two of our math students Danielle Steinman and Alexander Ayvazov among top ten in thier age group in Bergen Academy Math Olympiad! Congratulation to Danielle and Sasha, to their parents and teachers! We would like to announce the opening of the Math class designed to prepare students of 10th grade for the Math part of the SAT exam. Please, visit the "Classes" page of Manhattan branch for more information or call 212-665-7406. The CONCERT will take place on Sep 11th at Edison Hall from 11:20-12:10 to celebrate the first day of school. It is a rare occasion to hear kids singing together in Russian with Felix Bershadsky and his guitar! Polunin during May and June. maximum – so, please, don’t wait to register. The SchoolPlus of Manhattan invites K-2 SchoolPlus students to the Metropolitan Museum of Art on Saturday, April 2nd at 3 p.m. The tour will be conducted in Russian. Registration required. For more information, please, contact your local director! Saturday March 12 - Classes in Northampton cancelled due to the weather. Classes in Northampton are cancelled today, March 12, due to the weather. Enjoy the last days of the winter! enjoy a free day and the snow! Welcome to SchoolPlus in Manhattan! We open YOGA class for parents at Hickman Hall on Sundays! 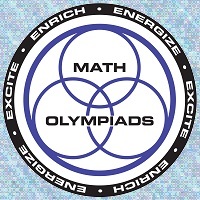 The new Math Olympiad season has begun! Dear parents, The new Math Olympiad season has begun! "Arts Supplies Up to 75% off"
The end of the year picnic is here! Our picnic will take place on the last day of school on Sunday, June 20th! Please register on line now for fall. Thank you! SchoolPlus considers opening its branch in Staten Island and would like to invite parents to attend the SchoolPlus Open House. Very URGENT position. Contract: 4 month minimum, in Texas. Interview possible even during the weekend, start ASAP. Visual Basic, ODBC, UML. Ability to write specifications and implement them. Full time: customer support. Knowledge of web servers required. Good communication skills. We are offering a new program in our summer camp: a sports group for 8th -9th graders. 10th at 10:00 with Oleg Tebunski. Dina Shimanovich has became a winner of NJ Chess Championship among 2nd grade students! Esther Shimanovich got the 2nd place among 3rd grade students. CONGRATULATIONS! SCHOOLPLUS resumes classes starting Jan 10th and will continue till June 21st. Classes are cancelled on Sunday Dec 7th at SERC due to whether warnings. Enjoy the REAL snow! Classes are cancelled on Dec 6th at FDU due to whether warnings. Enjoy the snow! We are going to make a trip to Italy! Fencing classes start on this coming weekend Oct 4th-5th at both locations-Piscataway and Teaneck. For details see schedule. Please sign up now. Discovery's national tour comes to NEW BRUNSWICK! Sunday Sept 14th, 10AM to 1PM Douglass College Center 100 George Street, New Brunswick Discovery is a one-stop extraordinary presentation on a 3 HR journey into the "why" of being Jewish. Hundreds of pictures of our students!!! Finally our online Photo Albums are ready to be viewed, printed and downloaded by YOU! Please visit at: www.fotki.com/schoolplus. Enjoy! Classes are now being scheduled for Princeton and Wayne locations. In Princeton, classes will take place Saturday mornings at the Princeton YMCA. In Wayne, classes will take place Sundays at Temple Beth Tikvah/Wayne Jewish Community Center. Support our Theater Studio and come to watch their debut at Piscataway on June 1st! Dear students and their parents! We invite you enthusiastically to watch our debutants on June 1st at 11:45 - 12:15 at Piscataway. Congratulations to the winners of the International Online Math Olympiad!